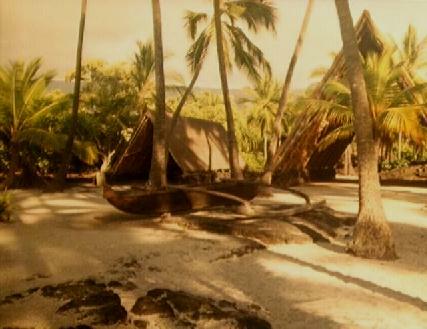 Without a doubt Pu'uhonua o Honaunau (place of refuge) is my favorite historical site on the island. 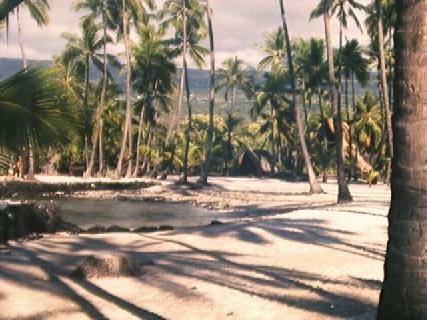 Located about 20 miles south of Kailua-Kona this ancient site became a National Park in 1961 after a century and a half of disuse. There is a feeling of ancient power and serenity here that is not found anywhere else on the island. 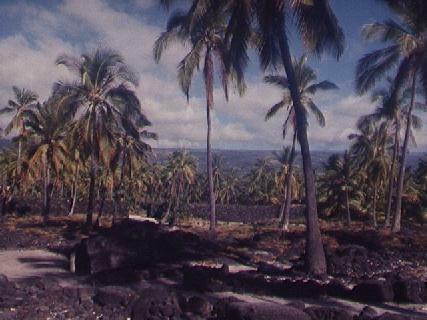 Built around 1550 A.D. this site avoided the destruction that was the fate of many sacred sites in the early 1800's when traditional Hawaiian religous practices were abolished. This is possibly due to the strong ties with the Kamehameha I dynasty. As a result the restoration is very authentic here. 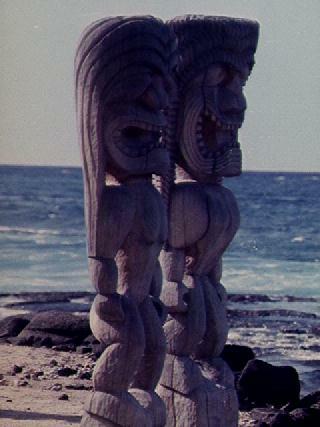 The purpose of the Pu'uhonua was to offer sanctuary and forgiveness to Kapu breakers, defeated warriors, and non-warriors caught in the middle of battles. 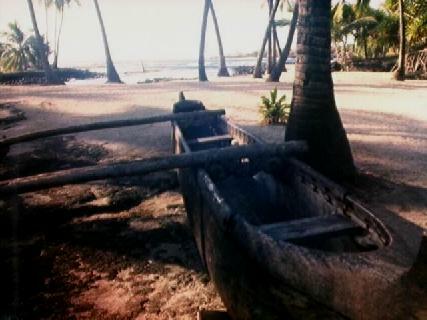 Those who were able to reach this haven, were taken in healed if necessary and given rites of purification by the Kahunas (priests) then allowed to return to society without fear of reprisal. 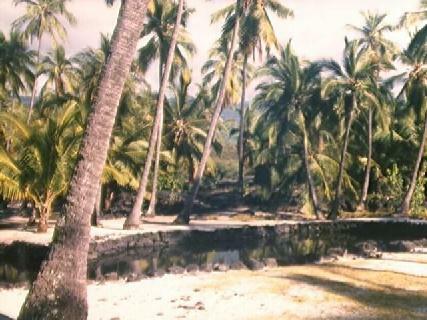 The spiritual center of the Pu'uhonua was the temple, it is believed that this is actually the third temple site constructed. It was built sometime around 1650 A.D. 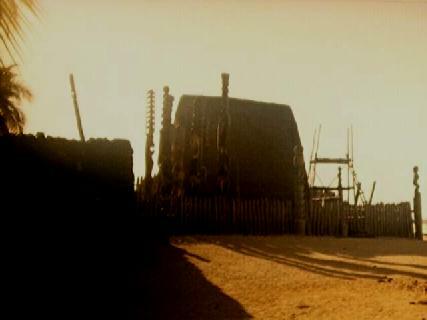 The thatched house was the repository for the bones of 23 rulers of the area. 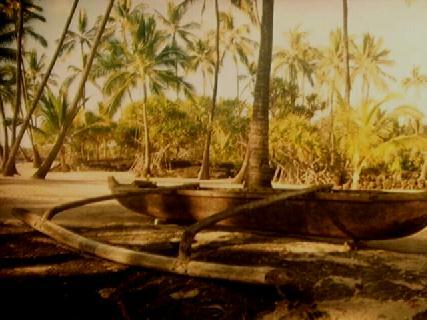 It was believed that the bones of royalty brought trememdous Mana (spiritual power) to this refuge. 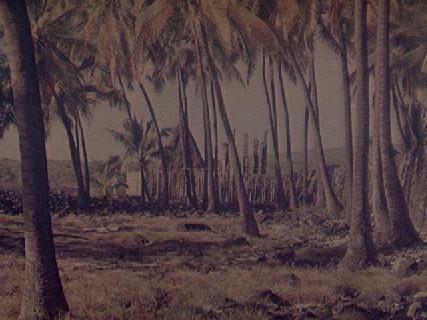 The bones were removed by Queen Ka'ahumanu's order in 1829, local Hawaiian activists are still trying to have these bones returned to their rightful resting place. 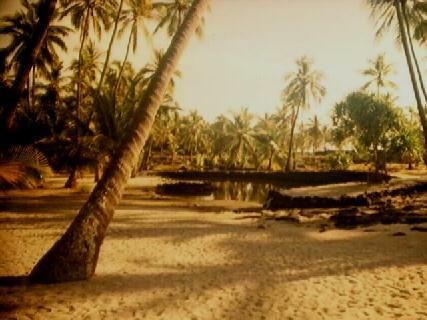 Practitioners of the ancient Hawaiian religion still perform their ceremonies at this site. Since the restricted section was along the shoreline, anyone trying to reach sanctuary had to swim across bays on either side of the refuge, not always an easy job. The two sections were divided by a wall approximatly 1000 feet long, 10 feet high and 7 feet thick. This wall built without mortar of any kind has been standing for over 400 years. 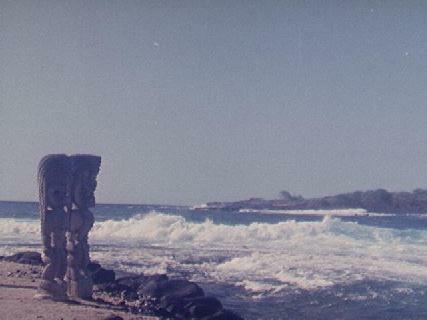 A view of the wall from the outer section of the Pu'uhonua and the back of the Hale o Keawe which anchors one end of the wall. The inside of the wall was quite different from the outer section, entering through a passage in the wall you will first see several fish ponds, both natural and manmade. 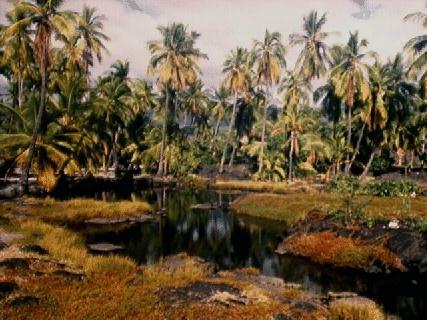 Fishermen would keep these ponds stocked with the favorite fish of the Ali'i (royalty) and the Kahuna's (priests). As harsh as it may sound, not having the desired fish for the Chief's meal could cost someone their head. 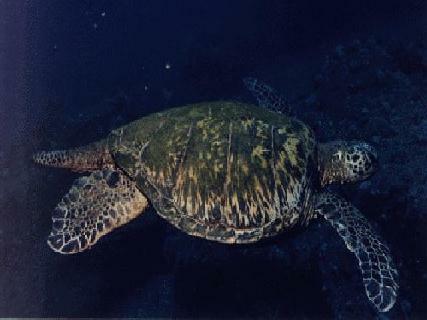 now a favorite feeding ground for the Honu the green sea turtle. To the North of the park is Honaunau bay which boasts some of the finest scuba diving in the area. There are also picnic facilities although on weekends it is usually very crowded, driving through the park past the information center you can take a dirt road to another picnic spot with palm trees and concrete bbq pits and picnic tables, while usually not as crowded as the bay it is still a very popular spot with local families on the weekends.